Once you figure out where the leaking water is coming from, put a stop to it with one of these do-it-yourself fixes! Got a leaky toilet? Believe it or not, it’s a common problem. Continue reading to find out the likeliest causes and the easiest ways to remedy the situation. First, some of the washers between the bowl and tank may have failed. Shut off the supply valve, empty the tank with a flush, then remove the nuts, bolts, and washers from the underside of the tank. Lift the tank, position it on its side, and see if the washers need replacing. Another culprit may be faulty fasteners securing the fill valve and ballcock to the bottom of the tank. Before you replace those parts, however, first try simply tightening the nuts and bolts holding them in place—that often solves the problem. On the other hand, if the leak seems to be coming from the base of the tank, chances are the wax ring that seals the toilet to the floor has failed. 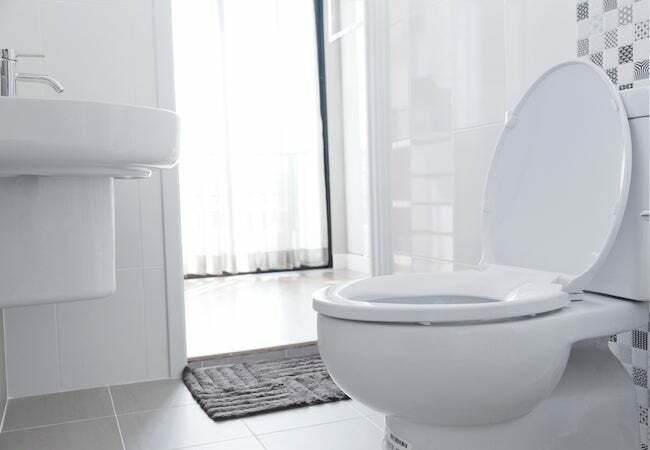 Replacing the wax ring is a much bigger job, since it involves removing the entire toilet from its base. If you decide to replace the wax ring yourself—preferably with a friend to help with the lifting—take the extra step of also replacing any bolts that show signs of corrosion. And, once you have the toilet back in place, don’t forget to add a bead of caulk around the base.